I spend a lot of time in Google and monitoring Google Local Search results. 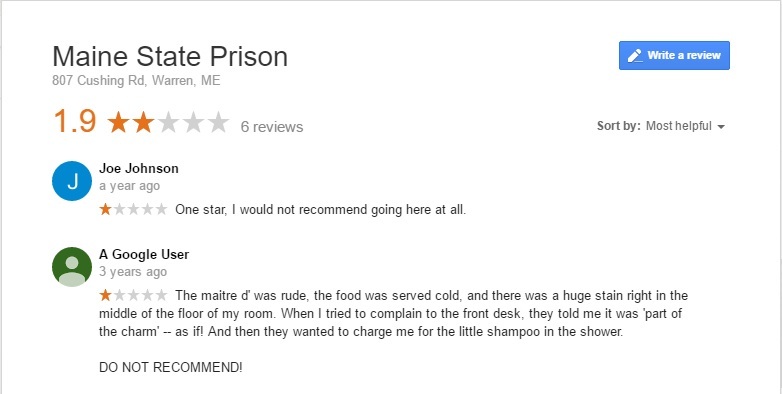 Anyways, today I fell down a rabbit hole looking at prison reviews on Google. The first thing I noticed was hilarious reviews of prisoners who compared their stay in prison to that of a hotel or resort. Then I saw reviews from loved ones who come to visit family members who are in the slammer. Then I saw some interesting marketing. 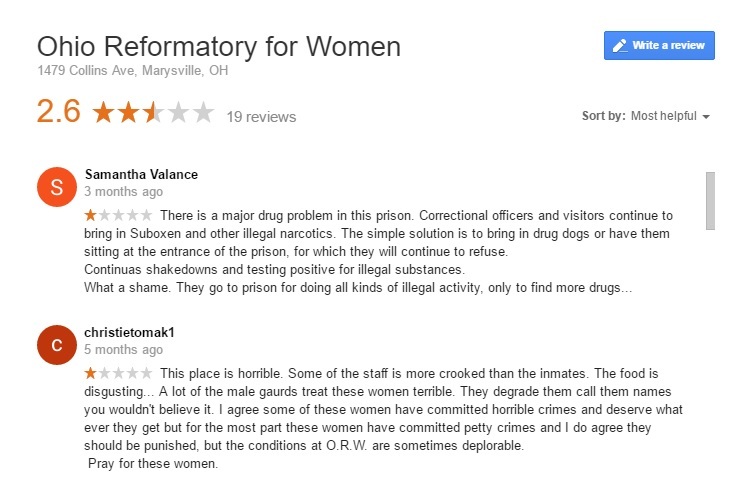 Then I saw reviews of a women’s prison in Ohio which obviously has major problems with their staff. Below are my findings. Enjoy! Spend a day or a lifetime! This one was interesting. I’ve been waiting to see someone market themselves via reviews. 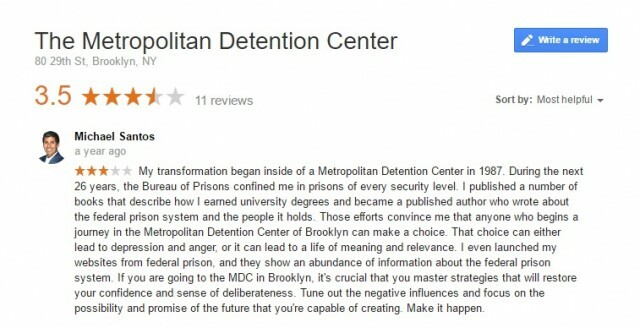 Michael is the “Prison Professor” and a consultant and many other things. Neat. If I ever go to prison I’ll give him a call! The Ohio Reformatory for Women seems to have some issues. 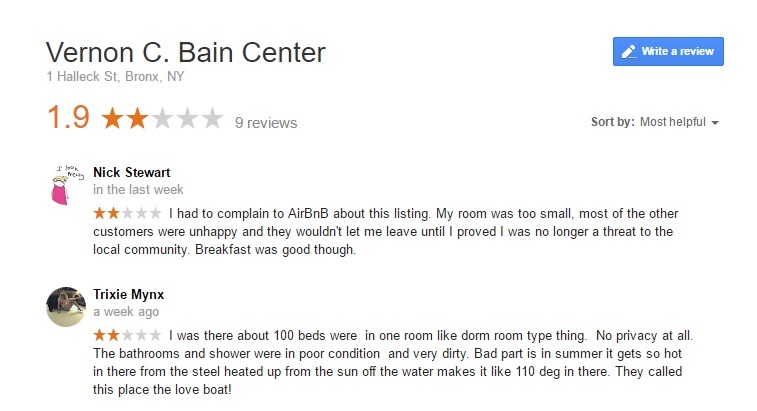 I read a lot of reviews and, while I can’t be certain, some of these reviews appear to some sort of complaint. Are they legit? Google users complain of crooked staff who bring in drugs to the prison and treat the female inmates terribly. Of course, these reviewers could simply be making this up. However, a 30 second Google search did reveal this officer was sentenced to 24 years for multiple counts of sexual battery, then there were more allegations of misconduct, and then 4 more officers were fired. Wow. If a business were run like that in the private sector….. There is a major drug problem in this prison. Correctional officers and visitors continue to bring in Suboxen and other illegal narcotics. The simple solution is to bring in drug dogs or have them sitting at the entrance of the prison, for which they will continue to refuse. Continuous shakedowns and testing positive for illegal substances. This place is horrible. Some of the staff is more crooked than the inmates. The food is disgusting… A lot of the male gaurds treat these women terrible. They degrade them call them names you wouldn’t believe it. I agree some of these women have committed horrible crimes and deserve what ever they get but for the most part these women have committed petty crimes and I do agree they should be punished, but the conditions at O.R.W. are sometimes deplorable.